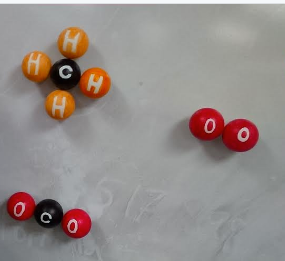 A while back, I saw a twitter a pic showing what looked like some colored ping pong balls being used to represent molecular model kits. Thanks Rich Lund @MrLundScience. A quick search on Amazon for a package of 144 ping pong balls and a trip to the arts and crafts store for paint, magnets, and glue and I was ready to start making my own class set of model kits. I had heard about Snatoms that were being introduced by Dr. Derek Muller from Veritasium and I decided to back his kickstarter project to get my own demonstrators set. However, I was looking for something that I could use on my whiteboard with magnets and I wanted to give my students the same capability so that was my reasoning behind the ping pong balls. 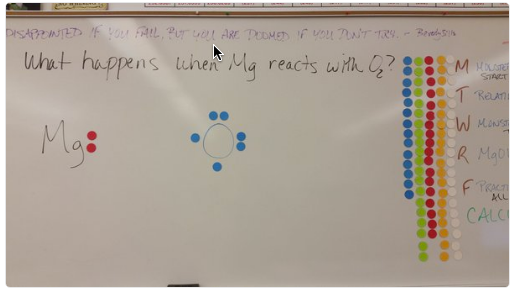 Currently, I have used large colored magnets to represent each of the different atoms on the white board but I had to have individual students approach the white board to use them. Thanks Kristin Gregory @KristinGregory7 who also uses magnets for other purposes such as Lewis Dot diagrams. I have also used cubes to represent molecular models but that model left me unable to show the geometry of the substance. 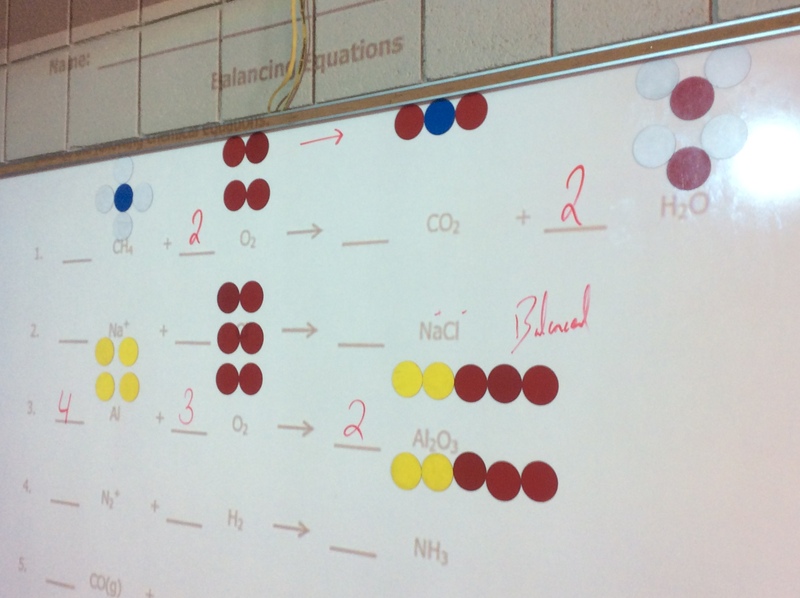 Recently, Michael Morgan posted about using molecular model kits for balancing equations and I also came across the following article from Dan Dulek, a high school chemistry teacher and board game designer. So, if you are unable to purchase a class set of model kits or you don’t have the time to paint 144 ping pong balls then let Dan show you his take on how to make your own magnetic molecular model kit http://flippinchem.blogspot.com/. If you use molecular model kits in your classroom or have made your own kits we would love to hear what you did. I have also seen it done using the largest marker dot on computers, holepunching on card stock paper and even making them very economically using a 3D printer.